Pesarattu is a popular breakfast dish of Andhra Pradesh. Breakfast is the most important meal of the day and it is important to have a wholesome and healthy breakfast. 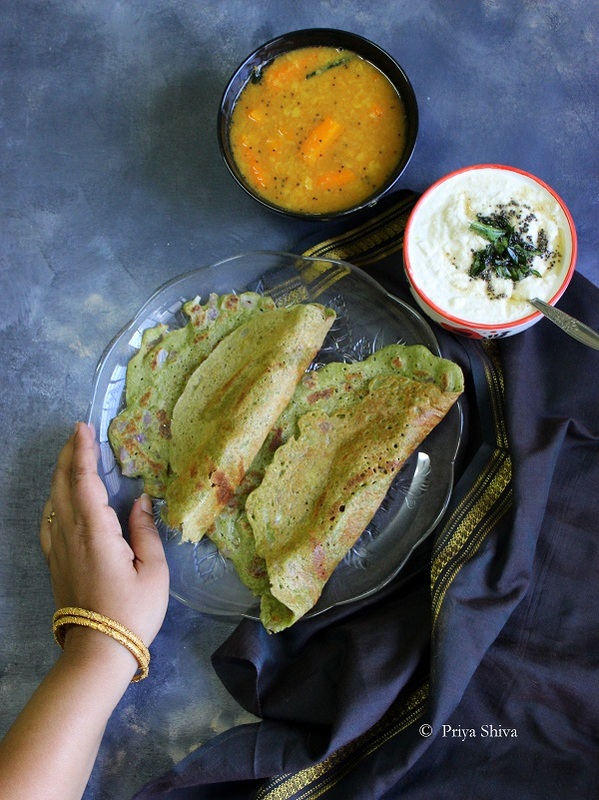 These crepes are made with green gram lentil and very healthy too. 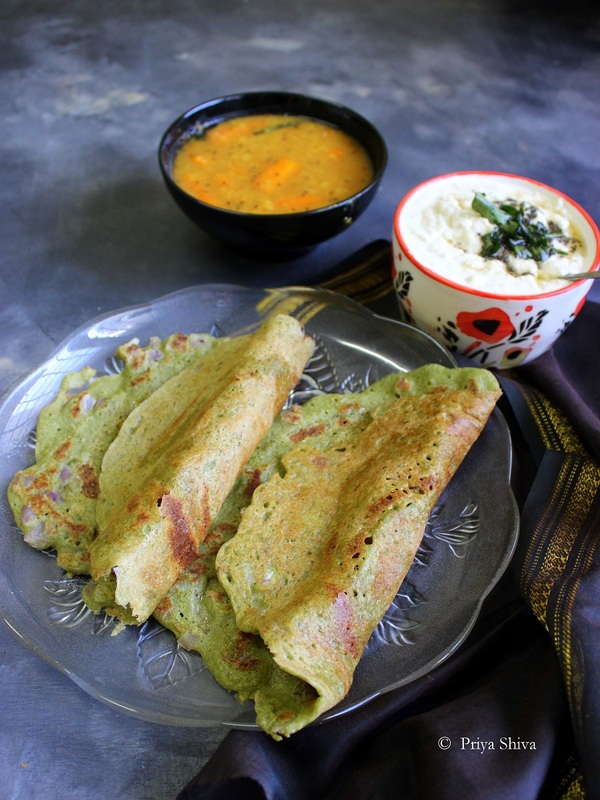 Check out this quick video to make these delicious Pesarattu! read the complete instructions before making this green gram dosa. I’m sure your family will love this Pesarattu for breakfast. Serve it hot with coconut chutney and sambar. Clean and soak green lentil for 4 hours. Clean and soak raw rice too. Grind the lentil with green chillies and little water to make a smooth batter and transfer it in a bowl. Grind raw rice with curry leaves and curry leaves to make a smooth batter and transfer in the same bowl. Add salt to taste and mix well. set it aside for 1 hour. Take a portion of the batter and add asafoetida, chopped onions and mix well. Serve it hot with sambar and chutney. This sounds just like the kind of breakfast I’d love! 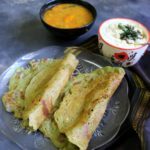 I love dosa, but have never tried making my own! These ones look so perfect; I love the color! Love healthy breakfast ideas! Can’t wait to try! My mouth is watering. Your video is really helpful. I look forward to trying this out! This is the most interesting batter I’ve come across! Love the ingredients and the video! Mouth Watering. This is really a very simple recipe and i will definitely try to make this recipe. Thanks dear for sharing with us.